Any parrot’s natural habitat will have a season when the region’s flora produces bountiful food resources such as fruit, seed, and nuts. That region’s animal life, including parrots, will gorge themselves on these resources to stock up as many calories as they can claim. When this happens, a parrot’s drive to mate becomes much stronger. The parrot’s body is responding to the instinct to bear young when resources are plentiful. For the remainder of the year when fruit, seed and nuts are not available, a parrot will have to rely on vegetable plant life for sustenance. As food resources become scarce, a parrot’s body knows that bearing young and keeping them fed will be too difficult. As a result, the parrot’s desire to mate decreases. Parrot breeders and parrot mills will feed their breeding stock a diet rich in seed and nut oils and fruit sugars to elevate the desire to mate. 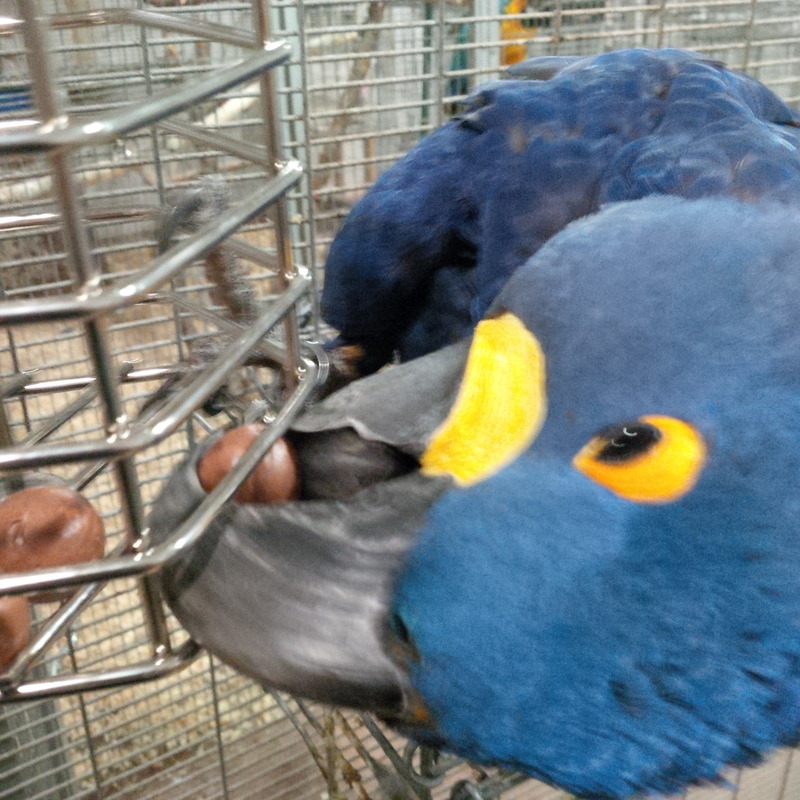 Parrots fed this way will be more aggressive, anxious, needy and neurotic. At Garuda Aviary, we feed our flock a wide variety of fresh, high-quality produce. Vegetables make up the majority of the menu, while a choice selection of fruits makes for enthusiastic dining. A very particular list of beans and legumes, and a moderated amount of seeds and nuts ensure sufficient protein is available. And the highest quality dietary pellets supply every essential vitamin and mineral. In this way, the parrots at Garuda Aviary get everything they feel they want and need, while keeping the very problematic mating instinct low.